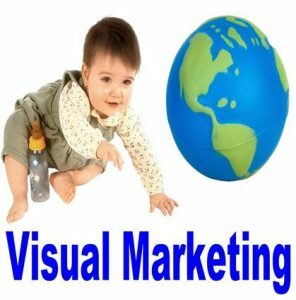 Visual marketing is the use of images, colors, video, signs and symbols to get potential customers to become attracted to your products and/or services. Studies by the 3M Corporation have shown that we process visuals 60,000 times faster than text. Thus, using visual marketing will communicate your message to your potential customers much faster andfar more efficiently than using plain text.